‘Move over Star Trek! 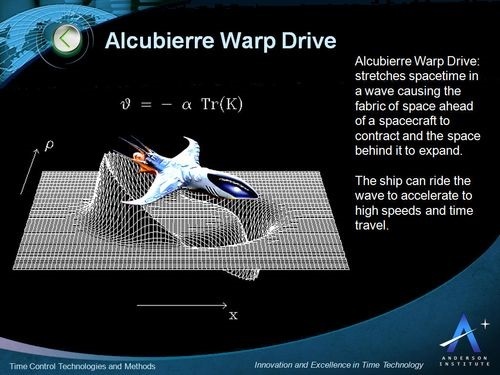 According to state-of-the art theory, a warp drive could cut the travel time between stars from tens of thousands of years to weeks or months. Harold G. White, a physicist and advanced propulsion engineer at NASA and other NASA engineers are trying to determine whether faster-than-light travel — warp drive — might someday be possible. The team has attempting to slightly warp the trajectory of a photon, changing the distance it travels in a certain area, and then observing the change with a device called an interferometer.